A woman was stabbed in the neck in an apparently unprovoked attack Thursday morning as she walked along a trail in Northern Virginia, and police are searching for her attacker. The attack is one of three major crimes reported on trails in the D.C. area in just two days; the victims in the other two incidents were killed. The victim in this case is expected to recover. She was stabbed near Sprague Avenue and Vaden Drive, Fairfax County police said. The location along the Gerry Connolly Cross Country Trail is less than a half-mile from the Vienna/Fairfax-GMU Metro station. The victim, who is 21 years old but was was not identified, told police a man approached her from behind, stabbed her and ran away. She flagged someone down for help, and that person found officers nearby at about 7:30 a.m. The woman was taken to Inova Fairfax Hospital and her condition is not life-threatening, police said. Police said the suspect is a man who is about 5 feet 7 inches with a medium build. He had a light to medium brown complexion and was wearing a black, hooded shirt pulled over his head. His race is not known. Police say they don't know why the man attacked the woman. Anyone with information on the crime is asked to call police at 703-691-2131. Man Found Dead Along Northwest Branch Trail in Md. 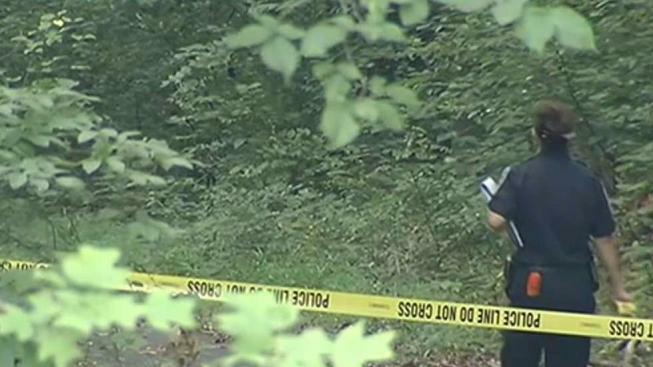 Earlier Thursday, a man was found dead along the Northwest Branch Trail in Adelphi, Maryland. Three people walking along the trail discovered the man's body about 8 a.m. He had trauma to the body, and police said he was murdered. The crimes came just a day after another man and a dog were fatally shot on the Anacostia Riverwalk Trail in Northeast D.C.